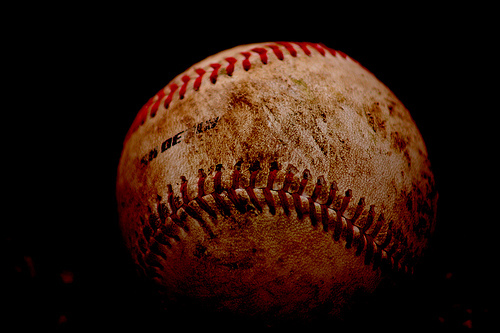 I grew up watching all kinds of sports with my father, and to this day I love baseball. Though my brother, the other sports fan in the family, says baseball is ponderously slow, there’s something about its rhythms to love. I remember as a kid watching the larger-than-life baseball heroes of the ’70s and ’80s, stars like Pete Rose and “Mr. October” Reggie Jackson. Back then, it was Reggie’s game—a game of big hitters and bigger egos, of smashes to left field and home runs. But, over the years, the game changed. It got smarter. Baseball has always been uniquely suited to statistics, and, over time, player performance started to be measured in new and surprising ways. That shift wasn’t easy, and it didn’t happen fast, but eventually teams began to unlock new insights about how to win. By now we all know the story of Moneyball: The Art of Winning an Unfair Game. But we marketers may have missed the message. It describes how Bill James, using the statistical analysis of baseball records known as sabermetrics, along with Oakland A’s general manager Billy Beane, discovered unknown secrets to gain competitive advantage. Surprisingly, it had very little to do with paying tens of millions of dollars to a guy who could hit the ball 500 feet but still struck out three out of every four at-bats. But it turns out that wasn’t even the metric that mattered. For decades, advertising and PR campaigns have centered on the Big Idea: swinging for the fences with a clever, provocative, or powerful concept that drove brands, hearts, minds… and, ultimately, business. How did it boost revenue? No one knew exactly, but the numbers—whatever their provenance—showed that it worked. But the advent of digital has changed that. As anyone in marketing knows, the frothy talk around “relationships” and “measurability” is now part of any social media or digital marketer’s semantic toolkit. The irony? Most of social marketing spend is on advertising and influence. Many practitioners today still think of marketing as mainly a zero-sum game. Even social media goals are transactional. The message most campaigns send? Buy this, and go away until I’m ready to send you another message. That’s thinking in terms of a campaign rather than a lifecycle. The lesson is deceptively simple: small movement matters. And the same is true of marketing: Get on base, progress, and create the conditions for the next step. Scoring in marketing is about how a consumer progresses through a relationship with a company or brand—the kind of relationship built on the customer’s researching a purchase, and so a planned, stage-driven relationship based on need. Depth is the as-yet untapped promise of digital communications. Customer experiences can now be both real-time and practically bespoke, and they can be multilayered and asynchronous. Some relationships may not evolve for 10 years (think big appliances). Some will move fast. Some have fixed lifespans. Consider a new mom: She will be a new mom for 24 months. After that, she’s got a different set of mom information and different experiential and product needs that could span years and dozens of interactions across multiple media in varying depth and complexity. A customer-relationship lifecycle might have included one or two touch points in the 1970s (ads, in-store branding, and some PR), but there are now dozens. And those touch points can now be planned out with options: call it the choose-your-own-adventure approach to marketing, with measurement. Accordingly, advertising is now rightly relegated to its proper place on the marketing spectrum: the outer edge. Advertising draws people in, but then what? How many people move from first base to second? Some people will see an ad, start following a brand’s Twitter account, and then opt in to receive an email newsletter, which indicates a stronger tie and deepening progression in the relationship—welcome to second base! The next steps: what kind of content they consume, and how quickly? Or download an app, set up an account, or join a community— they’ve made it to third! We’re starting to see words like “interaction planning” cropping up more in RFPs and programs. There is real potential for organizations and brands to build actual relationships of real utility with customers. And there is real potential to look at data on behavior to structure how those relationships can progress and to identify indicators of an increased likelihood to participate or buy—and then to measure results. This isn’t about impressions—the RBI of the marketing world, a useless metric that doesn’t reflect anything other than a big impressive number for highlight reels and presentation decks. It’s about how relationships progress and evolve and what they reveal about the customer-relationship lifecycle. We’ve learned over the past 10 years that digital relationships among consumers, buyers, and brands progress like other relationships. How they progress can be structured, benchmarked, and measured, telling us a great deal not only about consumer needs and interests, but also about how well current digital experiences truly deliver on those needs.